Install WordPress in 20 seconds. 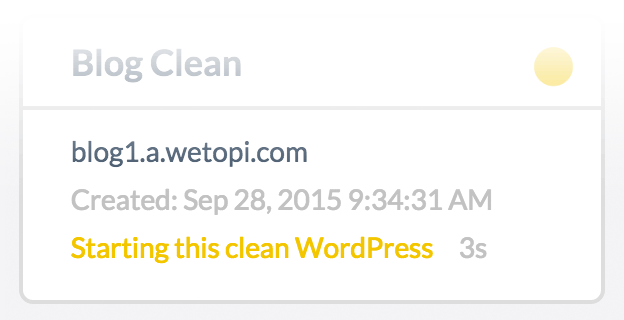 Wetopi is designed to let you work with WordPress as fast as possible. Fully functional standard Wordpress in seconds! No restrictions. Use any plugin or theme you want. You manage your WordPress as how you see fit! 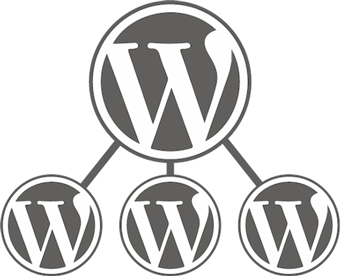 All our powerful features work perfectly with WordPress Multisite setup. With a subdirectories setup or with a subdomains setup. 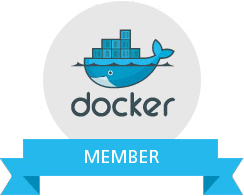 Run on a Modern Container based Infrastructure. Each WordPress runs on its own VPS-like machine ensuring its own resources that no one can bog down and it is not shared. Your own super fast nginx server. Your PHP code will run natively thanks to the efficient PHP-FPM. 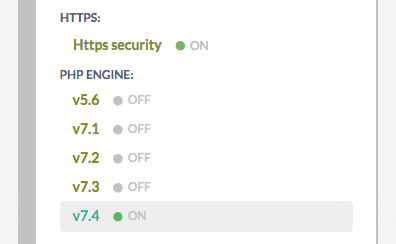 Impressive 200% faster performance increase provided by PHP 7. And you can try it safely on a clone. SSD hard drives improves the performance of your WordPress site dramatically with faster disk i/o performance. 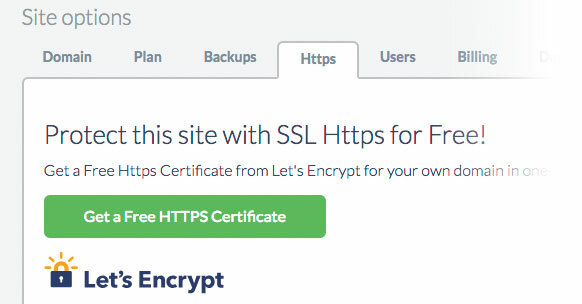 Get Free Automated SSL/TLS Certificates of Let's Encrypt and save time installing them with a single click: no plugins, no config files. Get 2.29× speed improvement thanks to a modern server infrastructure ready to run the last HTTP/2 protocol. 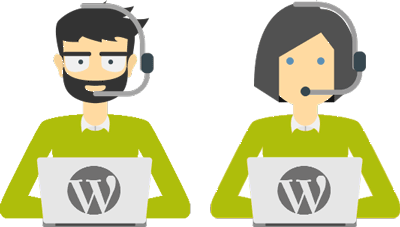 Everything WordPress: From dedicated and tailor-made WordPress virtual servers, our Support team can assist you in all technical troubleshooting of your Wordpress site. 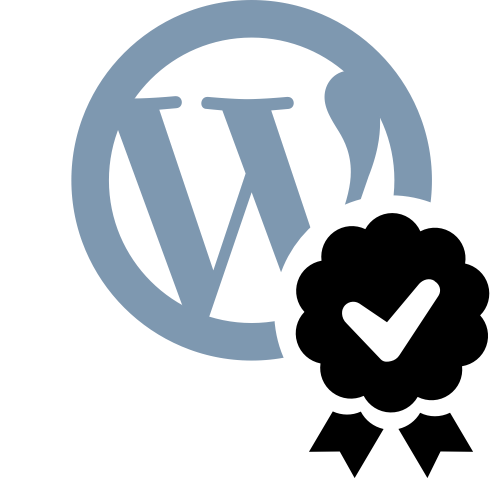 Be confident being on a provider exclusively dedicated to WordPress. A simple, easy to use and unintimidating dashboard. Not just a simple copy of your site, you get a replica of your server. If you need to experiment, you don't need to backup, just clone. 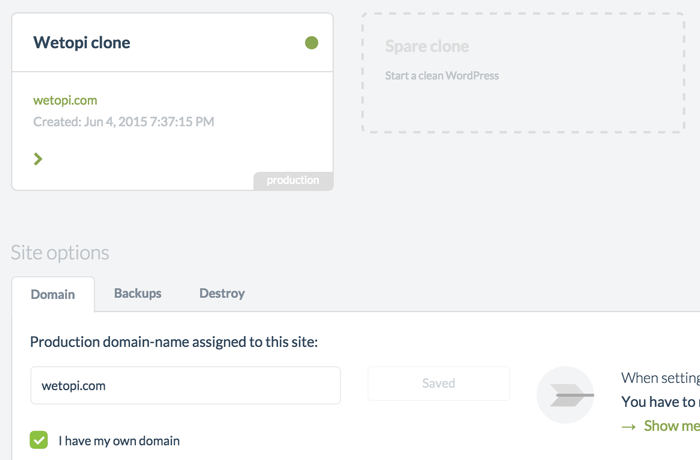 You can clone your live site or even another clone. Create multiple staging environments cloning your live site, backup or even another clone. Work safe testing new WordPress versions, themes, plugins. 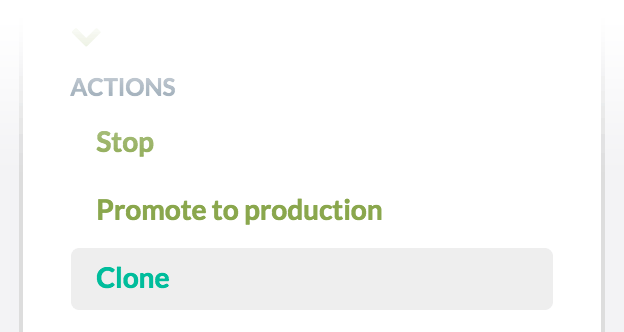 When you're ready, you can promote to production in a matter of seconds. Rest easy, you have nightly backups. 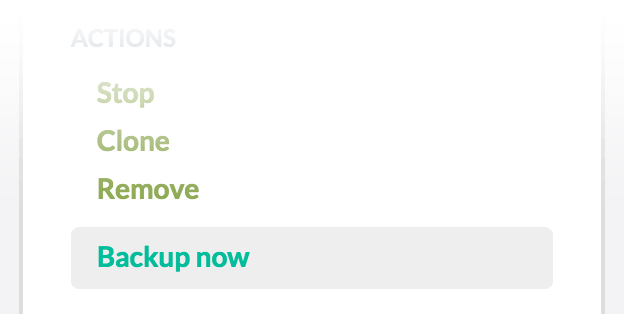 All it takes to begin backuping is a single mouse click. An array of load balanced Web Application Firewalls witness traffic across our entire network of customers. Those learnings are inherited automatically by all of our customers. Our firewall blocks traffic from external IP Feeds related to on-line attacks, on-line service abuse, malware, botnets, command and control servers and other cybercrime activities. Our blocking lists updates each minute blocking an average of 850,255,680 IPs. Migrating your site to us is free and completely effortless on your part. No downtime for your website. Try before going live and stay only if you like it.